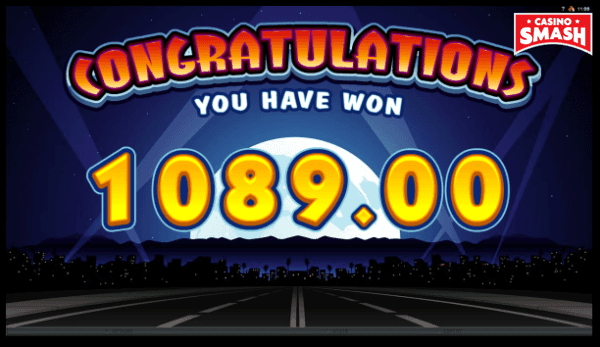 Take your front seat ticket to see Cool Wolf - a video Slot by Microgaming that can award you with real money. 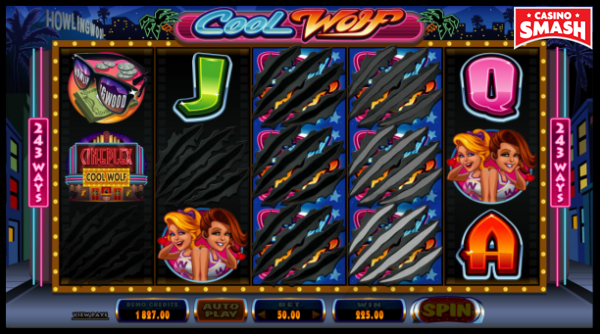 Have you played Cool Wolf online Slot yet? If not, you’re in the right place. Keep reading to discover a mobile Slot machine that will fall into the top 10 of your favorite games. Yes, I’m that confident when I talk about the Cool Wolf Slot machine online. If you have played Cool Wolf Slot before, I can almost hear you thanking me for reminding you of this game. If that’s the case, register a free gaming account and use the sign up bonus to play. Get Offer. It’s easy to find new Slot machines to play. Just log-into any online Casino and you'll find so many new Slots and bonus games that you won't know which one to choose. But new Slots are not always the right choice. While some of the newest mobile Slots are indeed amazing Slot types, you can never be sure a Slot game is worth your hard-earned cash and if you should play any of the new Slot for real money or not. Usually, the best Slot games aren't the shiniest ones. Think about all the classic Slots you know: how many of those do you see on the frontpage of your usual online gambling sites? And it's not only about fruit or Vegas Slots. Take games like Immortal Romance, Book of Ra, Break da Bank, and Football Star for example. 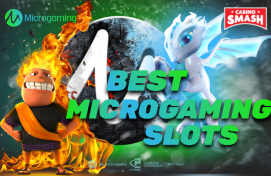 Although most of these Slot games were released between 2011 and 2013 - they are still rocking it and they still attract more players thsn most progressive Slots, even if they don't come with mindblowing payouts. Why am I talking about these Slot types? Because Cool Wolf falls into such a category, too. 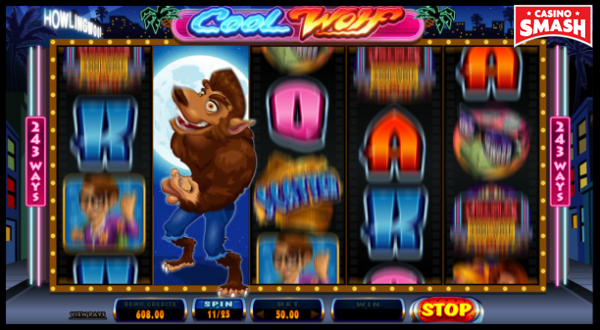 Released by Quickfire (Microgaming) in 2014, the Cool Wolf Slot machine game is not ready to retire just yet. Even if hundreds of new Slots by every Casino game developer on the planet continue to appear each year. Cool Wolf Slot has a simple base game structure of five reels and three rows. And 243 ways to win. There are enough special features to fit the most demanding taste. 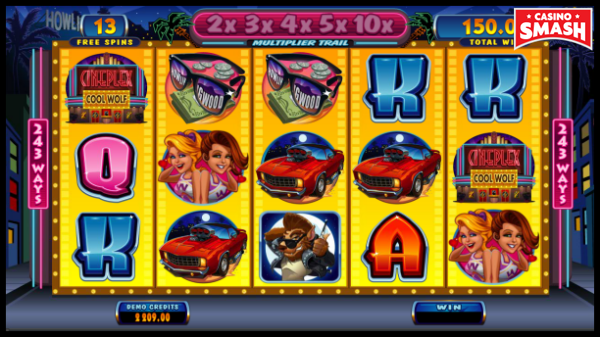 Wild symbols, scatters, bonus rounds, multipliers, and of course, free spins. Symbols feature cartoon characters - a nerdy guy who turns into a cool wolf during the full moon. To see this transformation you need to trigger the free spins or land stacked wilds. Not one but two ladies are crazy about this guy. As a wolf, he plays the guitar, drives a fancy car, and has a lot of cash to spend around. Especially, on the cinema tickets, since the adventures take place in the Howlingwood. That’s the story you see depicted in the Cool Wolf symbols. And interesting storyline behind a game is always a nice touch. Plus, high return to player (96.47 percent) is also an important factor making this Slot so popular for the last four years. Cool Wolf gameplay is pretty straightforward. If you played any other Slots before, it comes naturally. Click on the bet button to regulate your wager. You can choose the coin size (from 0.01 to 0.10) and how many coins you want to wager (from 1 to 10). Once that's settled, your bet will be somewhere from 50 to 500 coins. Since the paylines are fixed, you can’t choose how many of them you want to bet on. So you play with all 243 ways. The wins are only awarded from the left to the right. Only for the winning symbols when they are adjacent. Once bets are set, hit spin, and enjoy the spinning reels! To see how much each symbol is worth, click View Pays button in the left corner of the reels. That's pretty much all you need to know to play this game. But of course, there's more. The highest paying symbole is the Scatter. It’s depicted as cinema tickets with the text Scatter on them (or text Free Spins during the Free Spins feature). And it can get you up to 50000 coins. Scatters are what triggers the free spins, too. Land three of them on the reels and get 15 free spins. When you land four - 20, with five you get 25 free spins. During this feature, you get the multiplier for each rolling reel and its value increases with every consecutive win. This way, you can get up to 10x multiplier. Its value goes back to zero if the cascading reels don’t make up a winning combination. The next most paying symbol is the werewolf. Both in his human form during the main game and in his wolf form during the free spins. Then it’s the girls' symbol, the car, cinema, and a pile of cash with sunglasses. And then there are playing card symbols - A, K, Q, and J. Cool wolf guitar pick symbol acts as a Wild and substitutes for all the symbols except the Scatter. More than 40 wilds hide on the reels. It boosts your wins especially if you land stacked wilds on the reels three, four, and five. A nifty thing about this Slot is the Rolling Reels feature. Triggered on every win, wolf’s claw appears and scratches the winning symbols off the reels. You get your winnings and the new symbols replace the old ones. The new symbols can trigger another win without you spinning or betting any more. Rolling Reels feature is also active during the free spins and can award you up to 10x multiplier then. Last but not least is the Howling Wild feature. You can activate it randomly during the main game. It takes one of the reels (second, third or fourth) and transforms it into a wild reel. 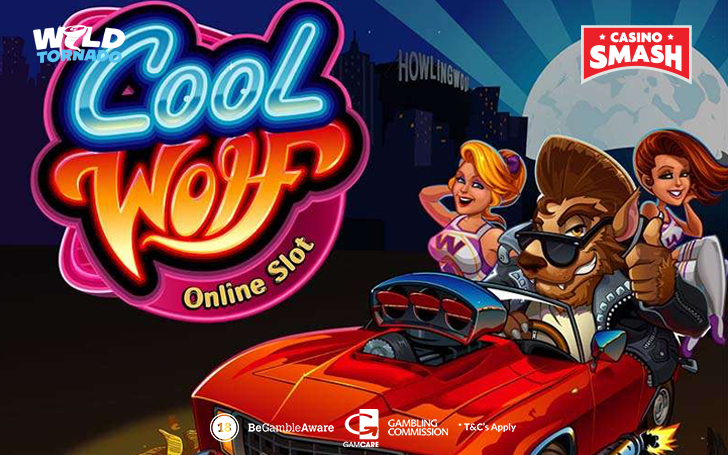 No matter which option you choose, you can play Cool Wolf online at PlayAmo Casino. For starters, you don’t even need to have an account to play the Slot for free in the demo mode. And there are more free slots to choose from at PlayAmo Casino. I suggest you pick PlayAmo because not only this is one of the top mobile Casinos around, but you also receive a very good welcome bonus on signup. And of course, you can also play the game for real free if you don't want to wager real money and you just want to enjoy a spin or two at this Casino Slot. Bonus info: terms and conditions apply to the offer. If something isn't clear, have a look at our review of WildTornado Casino for the T&Cs in full. The offer on this article might have expired by the time you read it. Please refer to the review pages for the latest bonuses and promotions available.